Want to get to know me better (or anyone really)? Just ask one of the below “get to know you” questions… they’re meant to be fun, interesting questions that can help you learn more about the person you are talking to. These questions can be great for team-building, learning more about your fellow co-workers, and for spicing up your standard introductions. A quick caveat: there are thousands of interesting questions to get to know someone, but I’ve found that the below questions (pulled from games like Table Topics, shows like Inside the Actor’s Studio, and from my own brain) are unique or interesting enough to force a person to think. If they’ve been asked the same question a thousand times before, it’s not as effective in engaging the person in your conversation. And these are just a starting point; take these team-building questions and modify them to meet your needs and situation. Asking someone about their favorite blank is a great way to get know them better and learn about their preferences and opinions. These questions are good for when you are first meeting someone and are easy to incorporate as part of introductions in a larger group, such as asking each person to say their name, role, and favorite food as a child. Hypothetical questions help you learn more about another person’s personality, as well as their ideal state of the world. Since many of these questions might evoke longer responses, they are better suited for one-on-one conversations or smaller group discussions. If you were reincarnated as an animal/drink/ice cream flavor, what would it be? Asking personal questions gets right to the purpose of getting to know someone and can be used in smaller groups with elaborate answers or larger groups with quick responses. Questions involving people’s past help give you insight into their character and background by revealing memorable moments from the person’s life. These are great for one-on-one interactions or for smaller, more intimate groups. These questions help build trust as they are more personal than some of the other types of questions. What was one of the best parties you’ve ever been to? When was the last time you were nervous? Random questions can be a great way to add some quirkiness to introductions or a conversation. These are best used when each person gets a different question because they intentionally break people’s expectations with an abstract question in the midst of a variety of other questions. Is a picture worth a thousand words? Elaborate. What’s your favorite question to get to know someone? Share it with the rest of us in the comments. 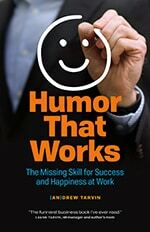 If you liked this post, you might enjoy my TEDx talk on humor at work. I just don’t understand why people comment in sites like this. Neither do any of my friends. If you don’t get it, then why did you comment?? Maybe it’s cultural, but to a Scandinavian some of these are creepy and awkward. Relevant random questions are more likely to not get a raised eyebrow and a disappearing act from your potential listener! That’s wonderful article about to get to know someone. I think it’s helpful for me. Thanks a lot for article. I think “Do you remember the name of the first boy/girl you kissed?” Its personal, deep, and reflective. Id bet people go all soft and gooey with a 1000 yard stare for a while. I’d bet that would break the ice. SOme are great suitable question to know someone but not applicable on all .. They were great questions don!!!! That’s a great point, Casey, these can help you learn more about yourself! Lauren–I’m glad to hear it. I hope you got some interesting answers! i <3 these ? 's they really helped me with my tv interveiw today! THESE QUESTIONS ARE HILARIOUS BUT NOT SERIOUS ENOUGH! p.s. how now brown cow?